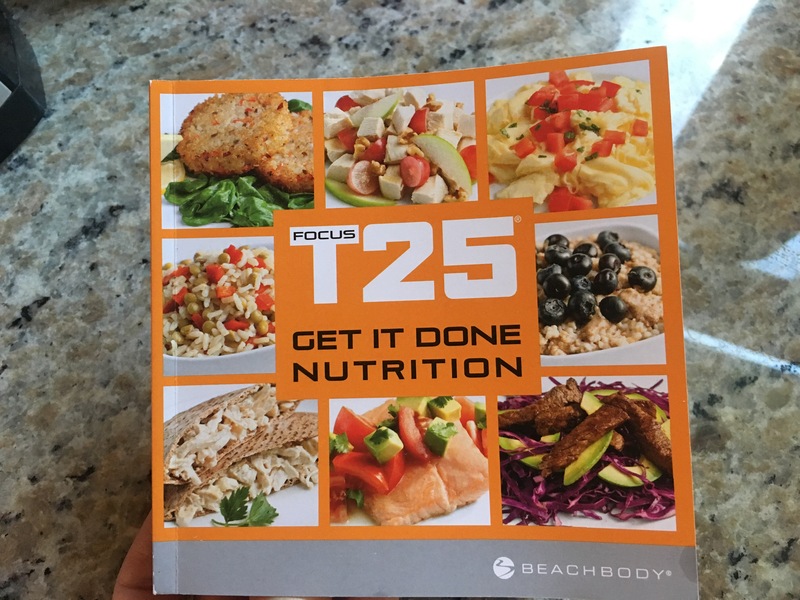 I got a handy dandy recipe book with my 30-day T25 Beach Body challenge and have sampled a few of the recipes. So far, this recipe is my favorite! It was listed in the lunch section, but John and I made it for dinner with a salad and loved it. We even had leftovers I’ve taken to work. 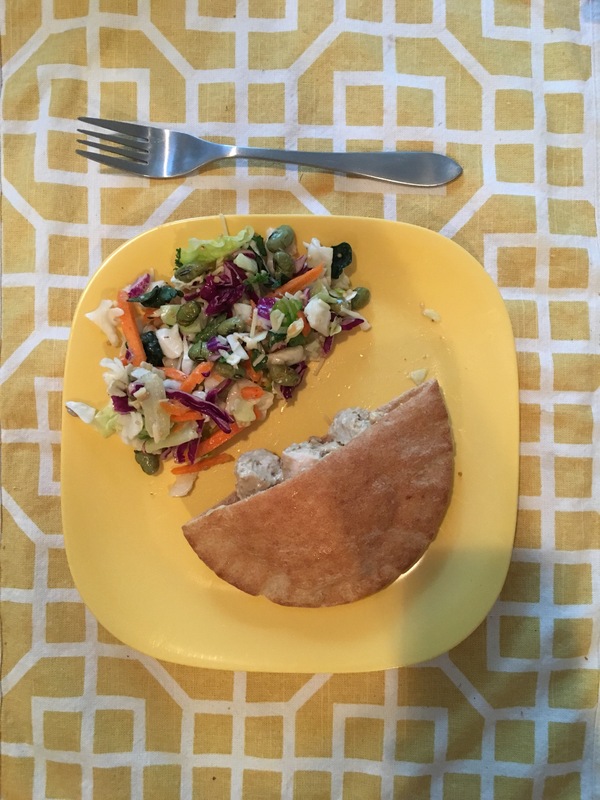 It is like chicken salad, but healthier….super delicious and did I mention fast? The most time consuming part is cooking the chicken and you can do that ahead of time. Note: I changed the original recipe since it was a single serving. ** you can add veggies like lettuce, tomato, cucumber, and sprouts. 1. Preheat your oven to 375° F and pat dry each chicken breast with a paper towel. 2. Place the chicken breast in an oven-proof baking dish. 3. Drizzle with about a teaspoon of olive oil per breast. You can also squeeze a lemon or lime over the meat to give the meat a little extra moisture as it cooks. 4. Put the baking dish in the oven and cook for 15-20 minutes. 6. Remove the chicken from the baking dish and let it rest on a cutting board. 9. 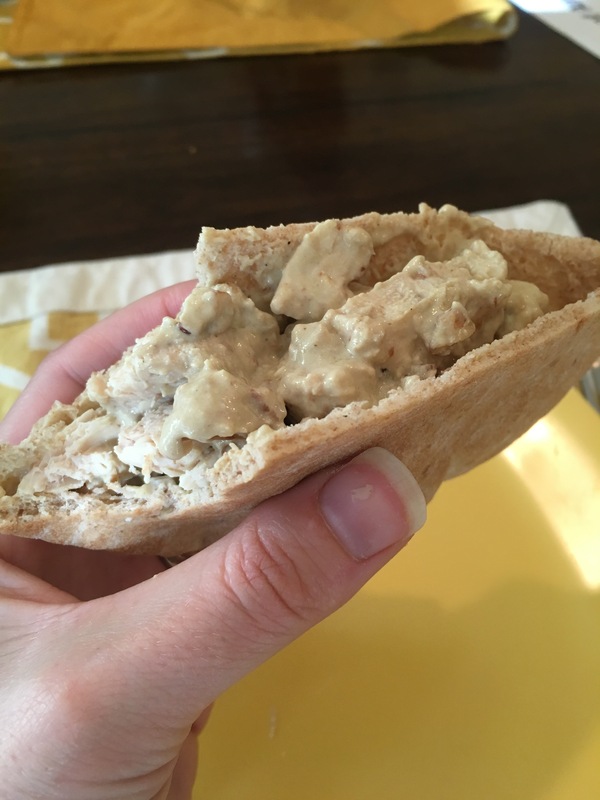 Fill pita halves evenly with chicken mixture.